When scientific information doesn’t seem useful to coaches or swimmers, they may turn instead to information that is readily accessible, explained in familiar terminology, and which has demonstrated applicability. That information can encourage them to model the fastest swimmers and the most successful teams. For example, the “noticeable” (i.e. obvious) mechanics of an Olympic champion are often modeled. The weakness of this approach is that the characteristic technique elements of a champion are not always effective. 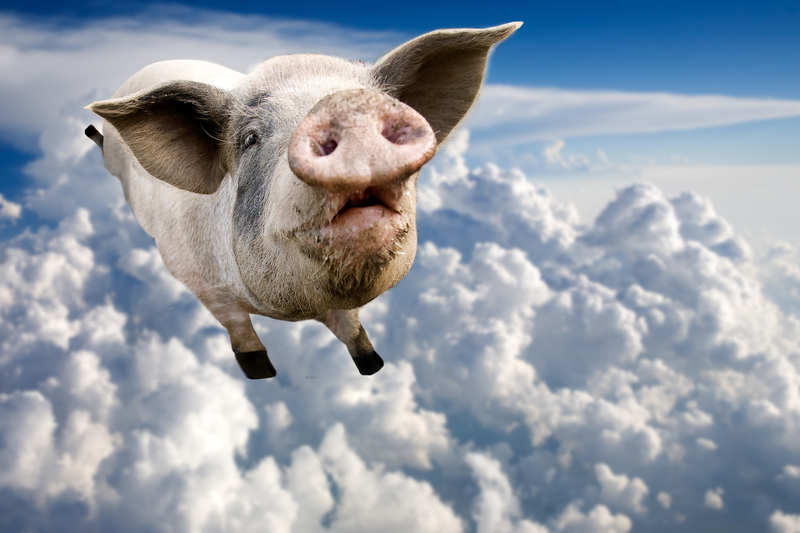 For wholesale adoption of an individual’s traits, a performance must be so outstanding that it’s the equivalent of “teaching a pig to fly” (Brewer, 1976). For example, in a 50 m race a swimmer would have to beat the field by several body lengths to meet this oft used “statistical” standard. Since this race is usually determined by a small fraction of a body length, even the fastest Olympians can’t be classified as “flying pigs.” The danger in modeling a champion who is less than a flying pig, is that his or her success may be due to an attribute such as size, strength, or pain tolerance – and not technique. Fortunately for swimmers and coaches alike, science can – and does- reliably determine the relative impact of specific factors on performance. It’s time to apply proven, science-based information — and time to forget about those flying pigs! Checking your streamline cues off every wall for one set each workout is a great way to make sure you’re on track with tight streamlines. Repetition is key when it comes to fixing bad habits. 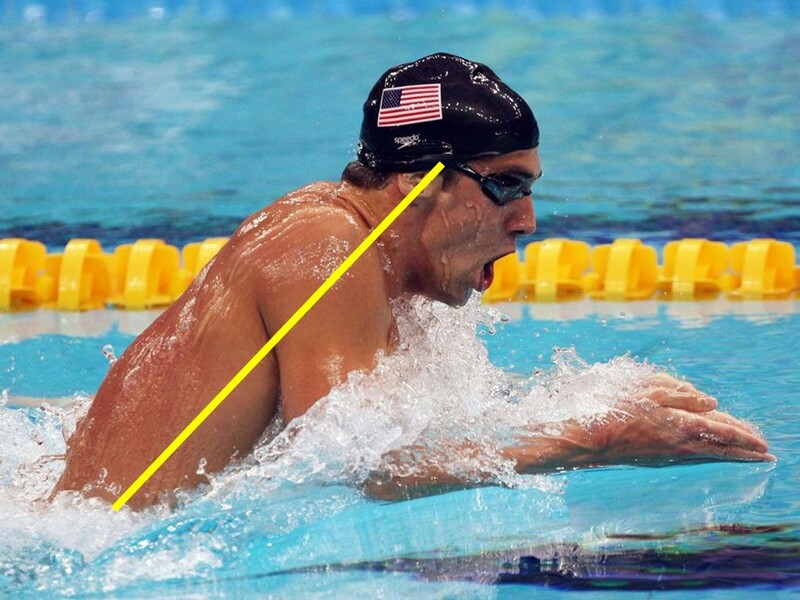 Common recommendations for breaststroke breathing call for lifting the “head, neck, and upper chest out of the water to breathe.” In Figure 1, Michael Phelps does exactly that. Figure 1. 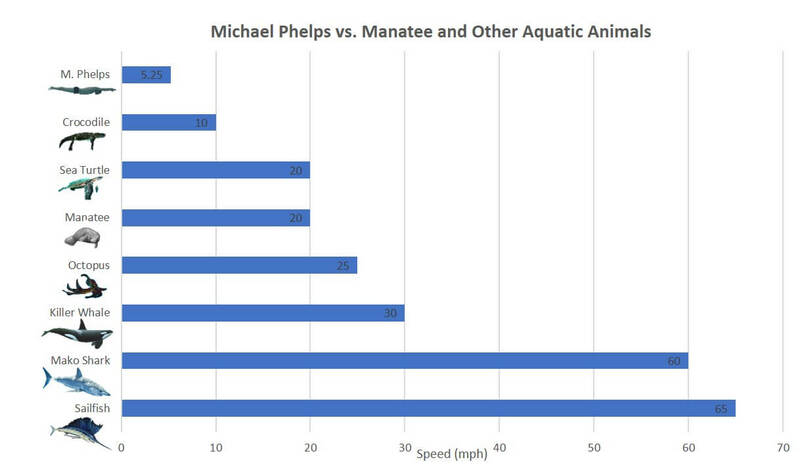 Michael Phelps breathes on breaststroke. In addition, many sources recommend a “neutral” angle at the neck while maintaining the head and torso “in alignment.” You can see clearly that these recommendations require “lifting the head” (a strictly vertical motion maintaining the alignment of head, neck, and body), as opposed to “extending at the neck” (a primarily rotational motion of the head about the neck). So what’s wrong with this picture and how does the “Loch Ness Monster neck” make a difference? First, let’s consider the laws of physics. It seems “eyeball” obvious that maintaining a position more parallel to the water would make a difference. Figure 2. 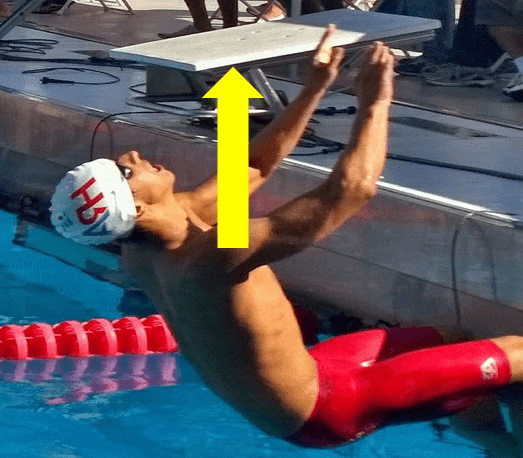 An above surface arm recovery is consistent with the excess upward head and body motion of typical breaststroke technique. Also, note the wave resistance. Is there any way that could help a swimmer swim faster? How about the biomechanics of that excess vertical motion? Generating upward body motion compromises forward arm propulsion. A decrease in arm propulsion, in turn, slows the swimmer’s velocity at a critical point in the stroke cycle – just prior to the kick recovery. Which brings us to the Loch Ness Monster Neck. Figure 3. In this illustration, the model has a 30o angle at the lower back and a 0o angle at the neck. The second breathing option (Figure 4 below) is to change the angle at the neck to breathe. While this option might feel strange and seem difficult at first, it offers several advantages. Figure 4. The model has a 12o angle at the lower back and is extending her neck through the full range of motion (about 60o angle at the neck). The front view shows an improved hydrodynamic shape. The arm motion generates more force to move the body forward instead of upward. A greater arm propulsion maintains a greater body velocity prior to the kick recovery. The more level body is more hydrodynamically shaped, reducing form and wave resistance. Less vertical motion produces a shorter path for the body to travel. From the breathing position, it requires less time for the swimmer to regain the streamline position. So, how do you develop this improved breathing technique? Practice! 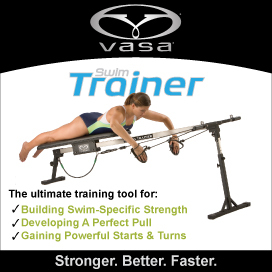 The reduced vertical motion enables the swimmer to more quickly regain the streamline position on every stroke cycle. 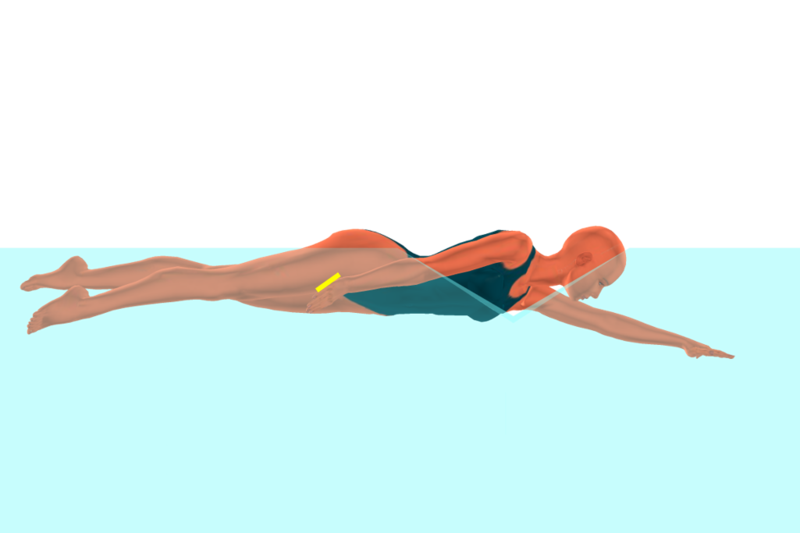 As with other technique improvements, there are cues that a swimmer can use to learn to completely extend the neck for a more effective breathing motion. Focusing on cues will help change the breathing motion. Cue 1: As the neck begins to extend, the swimmer can feel the chin move forward through the water. Cue 2: As the neck completely extends, the swimmer can feel the limit of the range of motion at the back of the neck. Cue 3: When the head is in position to breathe, the swimmer can see the wall at the end of the pool. Remember those two options? 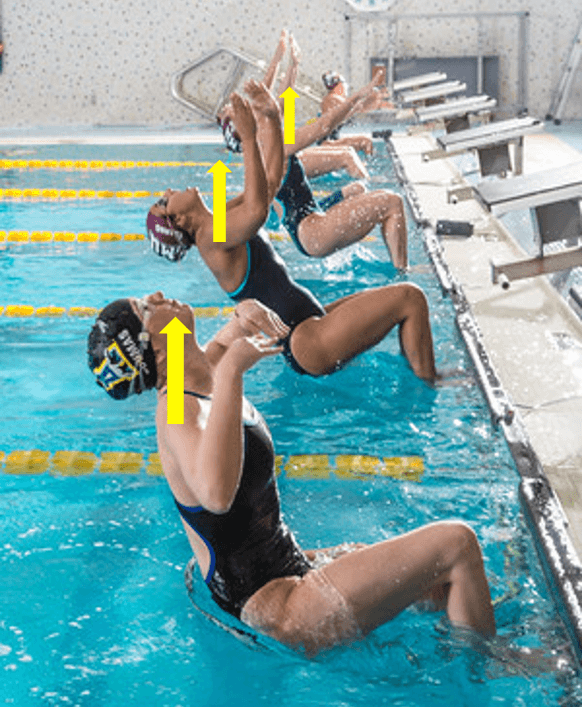 If the swimmer does not change the neck angle, then he/she must change the body angle to position the mouth above the surface. 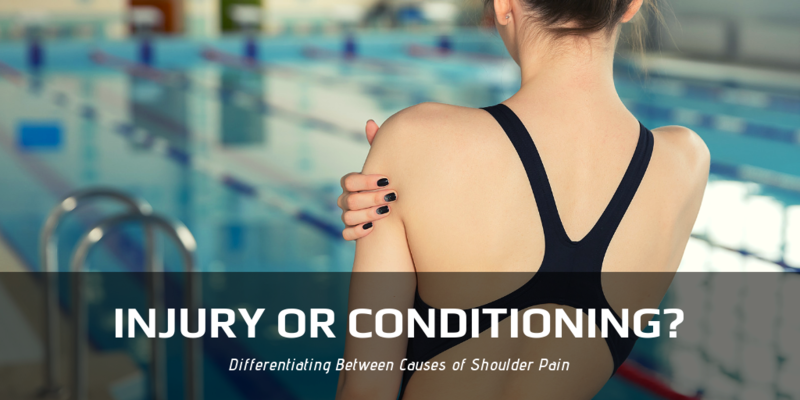 When the body angle changes, the swimmer generates excess resistance, expends more energy, and swims slower. 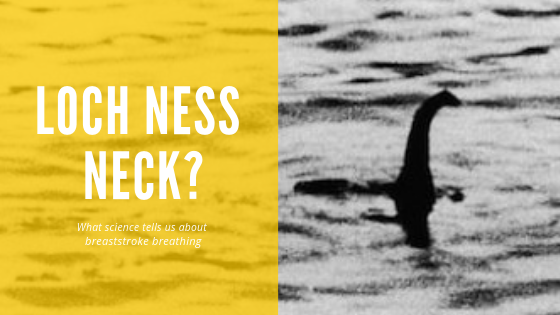 I hope you’ll consider the “Loch Ness Monster Neck” and discover for yourself that this breaststroke breathing technique is real – and far more effective that the more conventional method! Dedicate a specific distance to specific technique elements, speed, or effort level. 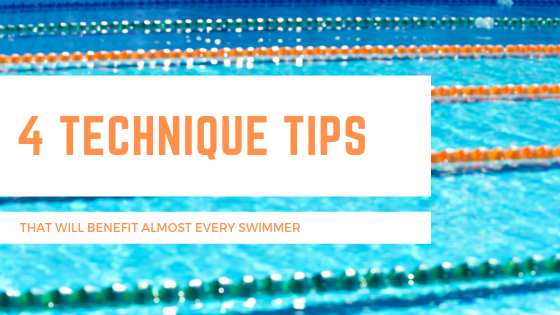 For example, swim a set of 10 x 25 yards fly focused on keeping your head motionless at the surface of the water on the non-breathing strokes. 2. Commit to an improvement plan. Set a short-term goal and determine how you will measure progress. For example, establish a base line stroke count for 25 yards/ meters and figure out how much variability there is in a given workout. Work on stroke count consistency before setting improvement goals. 3. Construct bottom-line instructions for each set. Plan each training set using DIRT – distance, interval, repetitions, and time for each swim. Then, practice deliberately by following your plan for each set. 4. Focus on single technique adjustments. There are two reasons for this. First, it is very difficult to maintain technique when fatigued and second, many elements of technique are complicated and must be learned in sequence. For example, a swimmer must control head position before addressing arm motions. Once one technique element is mastered, another can be added. 5. Give your body the time and fuel it needs to recover. 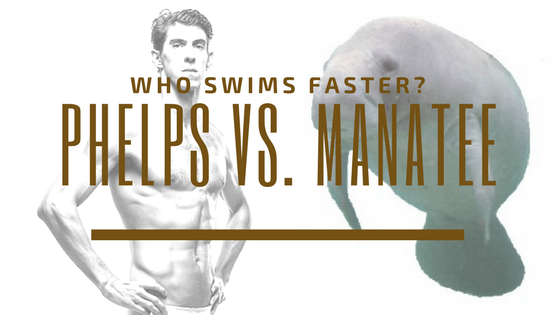 Do you know the real effect science has had on swimming? 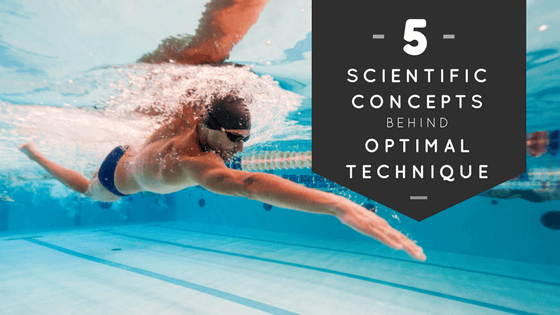 Here are 5 of the most important scientific concepts behind today’s most competitive swimming technique. 1. 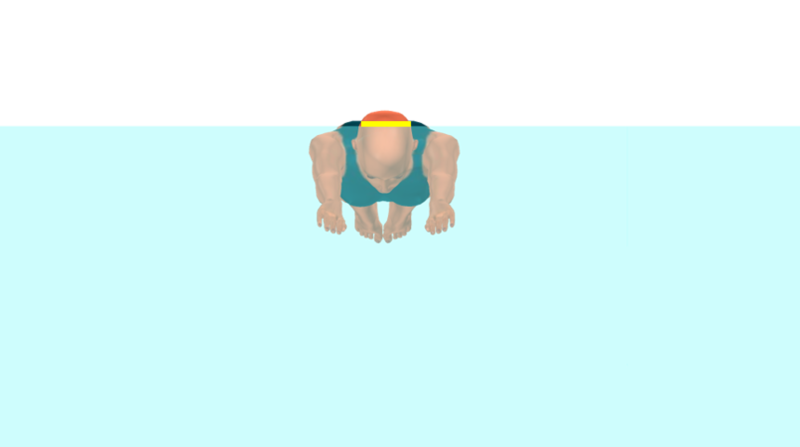 Swimming forces are composed of both lift and drag. Why is this important? Research on lift and drag forces made it possible to determine optimal angles for the hand pitch and the hand path that would maximize propulsion. 2. Hand speed must increase throughout the underwater motion. Why is this important? During the underwater motion of all strokes, a swimmer should continually increase hand speed. Hand acceleration is critical for faster times. 3. The Index of Coordination (IdC) quantifies the relative positions of the arms during the stroke cycle. Why is this important? When a swimmer is completing the push phase with one hand, he or she should immediately begin the pull phase with the other hand. This technique adjustment (creating a positive IdC) produces a more continuous source of propulsion resulting in faster times. 4. The Law of Levers applies to the strength of different arm positions. Why is this important? Applying the concept of leverage (i.e. the Law of Levers) makes it possible to determine how best to position the arm throughout the stroke cycle. 5. The Drag Coefficient quantifies the impact of technique changes. Why is this important? 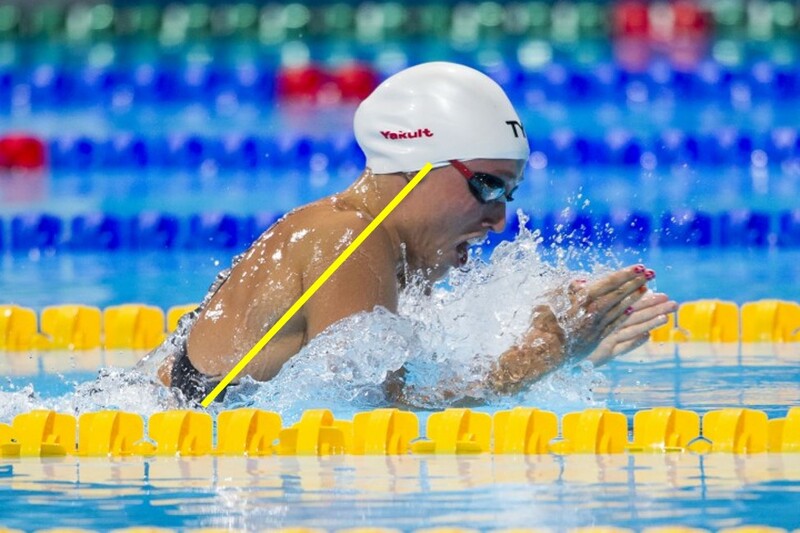 An accurate measurement of technique provides valuable information that allows both the coach and swimmer to evaluate the benefit of any technique improvement. Racing starts can vary from swimmer to swimmer, but there is one constant: the desire to start the race as fast as possible. Based on biomechanics, we’ve got a take on the backstroke start that you may not have seen before. When executed correctly, this small change helps swimmers begin their race with maximum propulsive force. 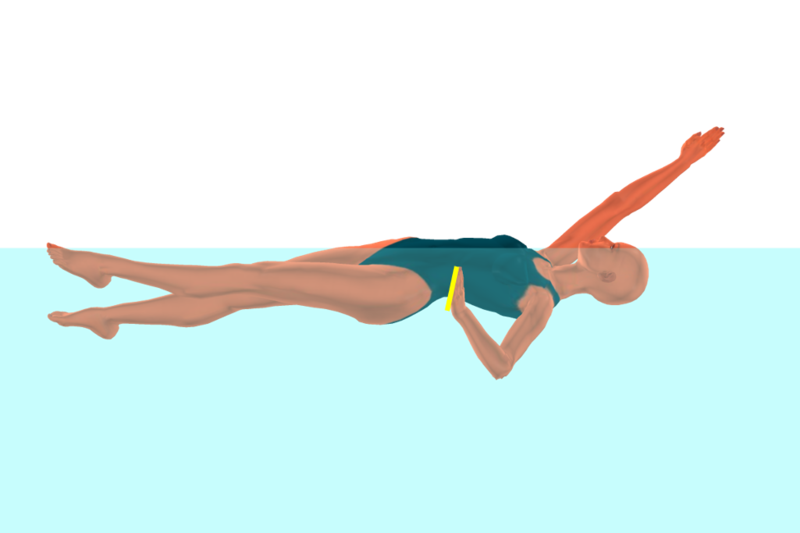 Swimmers typically swing their arms above their shoulders on a backstroke start. This motion causes the swimmer to distribute force at a more downward angle on the wall—sometimes even causing feet to slip. 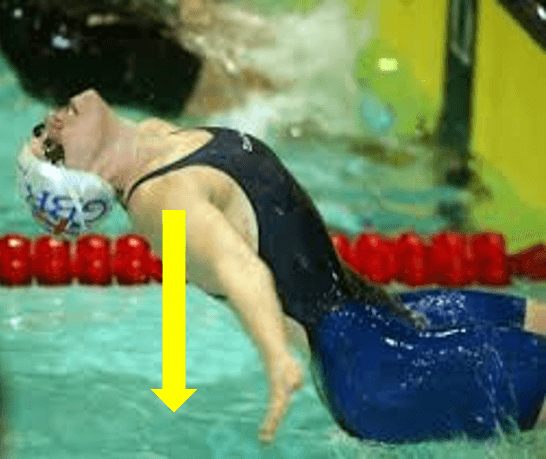 A swimmer will have less chances of having the feet slip on the wall and will be better able to generate propulsive force if the arms swing back below the shoulders and into a streamline. 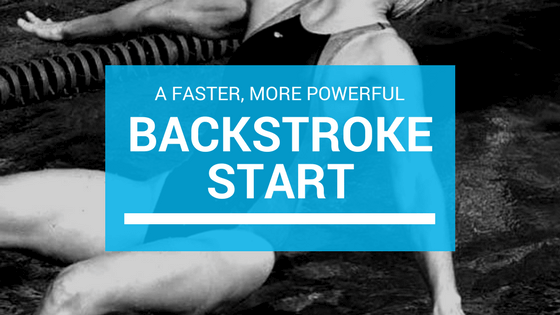 Give it a try on your next backstroke start! It’s a good question: How do you begin to introduce this new approach to your club? We suggest that a great way to begin is with numbers! In fact, we believe that quantitative data is the most valuable feedback you can give your swimmers. Happily, stroke counts provide quantative data that can help identify a swimmer’s strengths and weaknesses. The stroke counting exercise below will help you gather quantitative data from your swimmers and use it in a meaningful way. Look at the variation with perceived level of effort. (Overall, each swimmer’s butterfly stroke counts should not vary more than 1-2 strokes in any effort level.) It is typical to see swimmers with low stroke counts for lower effort levels, and much higher counts (around 5 more) for higher effort levels. It is natural to move your arms faster when you want to go faster, but an increase in stroke count indicates that technique is suffering as a result. 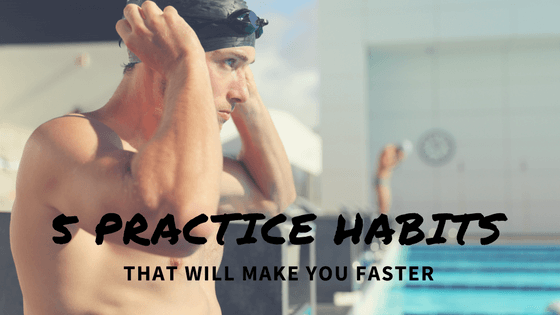 Working with your swimmers individually, identify what element of their technique is failing at higher effort levels. Maybe their breathing becomes exaggerated, or the arms are not completing the push phase. Discuss with the swimmer and make suggestions for improvement. 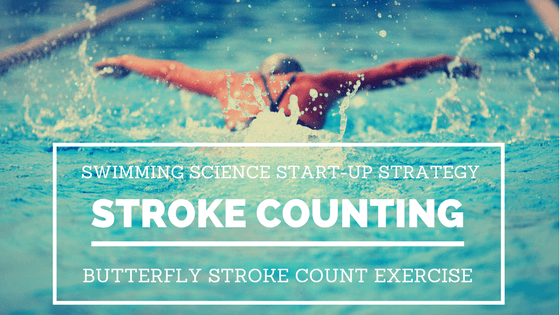 Implementing this stroke counting exercise on a regular basis can help you track progress and skill mastery. And it gives you a clear way to add data – and science – to your workout.